VATICAN CITY (CNS) — Never let practice and competition get in the way of going to Mass, studying for school, being with friends and helping the poor, Pope Francis told an Italian sports association. And never let Italy’s infatuation with soccer — like in the pope’s native Argentina — crowd out all the other sports, which are just as important for teaching kids the benefits of teamwork and sacrifice, he said May 7. 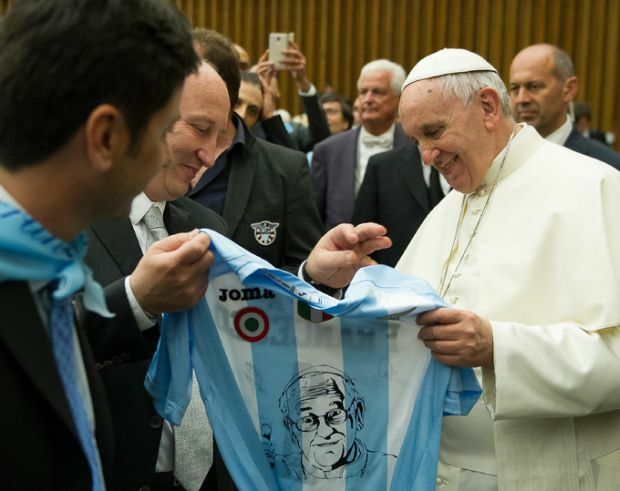 In the Vatican’s Paul VI audience hall, the pope met with athletes, coaches, sports fans and team owners that belong to the Lazio Sports Society, which was established in 1900 by young people who wanted an organization that was open to everyone and upheld sports’ ethical and moral values. Back then, organized sports were geared toward those who had natural athletic talent, the pope said, but the group’s founders wanted people of all abilities and backgrounds to be able to take part. Every sport has its worth — not just in physical and social benefits, but also morally in the ways it can offer people, especially kids, a chance to experience a more balanced life, “self-control, sacrifice and loyalty toward others,” he said, especially today when it seems “betrayal” is on the rise. The Bible teaches that the human person is both body and soul, he said. “Sometimes it happens that a boy or girl forgets about Mass, catechism because of work-outs and competition. This is not a good sign” because it means they do not have their priorities right, he said. “Studying, friends, serving the poor” also are important and should not be “neglected in order to do just one thing. No. Everything together,” he said. Sports done right helps build a more caring, brotherly and just world that helps overcome “human and social disadvantage,” the pope said. 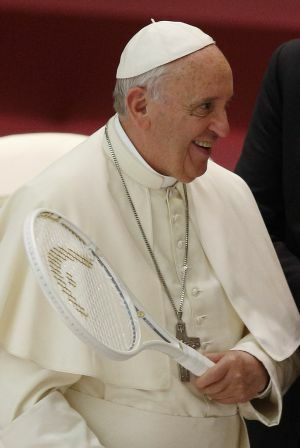 The pope met with another large group of athletes, coaches, team owners and family members during an audience with the Italian Tennis Federation May 8. “How awful and sterile a victory gained by breaking the rules and deceiving others,” he said. “Spend your life on what really matters and what lasts forever” and put “your talents at the service of bringing people together, friendship and inclusion,” he said.